In Hinduism renunciation or sanyasa is the true mark of spiritual life. It is believed to be the simple and straightforward way to achieve moksha or liberation. Truly speaking, in the context of sanyasa or renunciation, the word, "achieve," is not the right word to use because “achieve” denotes materialism, seeking and striving for something, whereas in renunciation one has to give up worldly life and material possessions, and live without aiming for anything in particular, including the goal of salvation, liberation or union with God. Having a purpose is important in worldly life, whereas not having any purpose is the central feature of renunciation or sanyasa in Hinduism. People who follow the path of sanyasa or renunciation are expected to lead very austere and ascetic lives, setting aside all desires and comforts and acknowledging no relationship whatsoever, including the relationship with God and oneself. One has to forgo all acts of self-preservation and self-advancement and the need to further one's ego and identity. Some sects of Hinduism encourage their initiates to develop equanimity and selflessness through extreme measures such as engaging in unusual acts of self-abasement to attract public ridicule and criticism or willfully subjecting themselves to self-torture pain and suffering to cultivate equanimity and indifference. It is to keep the ego under check and avoid self-importance. They also practice extreme fasting, self-mortification, staying too close to fire, sleeping upon a bed of thorns, living amidst dangerous animals, and practicing painful asanas such as standing on one leg or keeping one hand immobile. Some also spend their nights in graveyards, desolate places, or abandoned houses to overcome fear of death or hungry ghosts. The ultimate purpose of these methods is to overcome attraction and aversion and stabilize the mind in the contemplation of the Self or God. They are considered extreme and avoided by many. Sanyasa is also recognized in Hinduism as one of the four ashramas or stages in the life of a human being, the other three being brahmacharya (the life of a celibate), grihastha (the life of a householder) and vanaprastha (the life of retirement or a forest recluse). Sanyasa or the life of renunciation comes in the end. Gautama Sutras identifies the third stage as that of ascetic (bhikshu) and the fourth as of the hermit in the woods (vaikhânasa). The householder is the source of the other three because they do not produce offspring. Hence, it is far more important in the practise of Dharma. After an individual spends his life in acquiring knowledge as a student and becoming a householder to perform his obligatory duties towards himself, his parents, his family and society, he reaches a stage where he thinks he has done his part and fulfilled all his obligations. Then, he may withdraw from active life and spend the rest of his life in search of liberation. 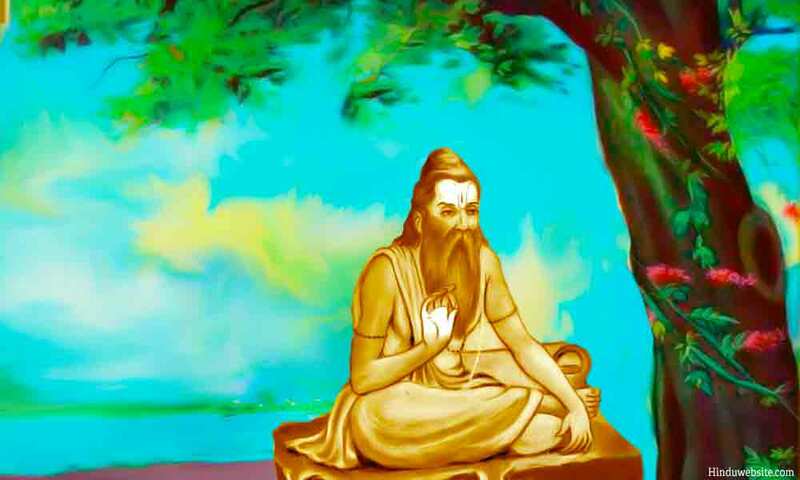 According to the Vedas, he has to accomplish it in two stages: first as a Vanaprastha (forest dweller) and later as a Sanyasi (recluse or hermit). In Vanaprastha he withdraws from active duties and responsibilities by transferring them to his sons. Then, leaving behind his family and household life, he goes to a forest or a hermitage where he leads a contemplative life and prepares himself for the hardships of the next stage, Sanyasa or the life of renunciation and self-negation. During this phase, he is allowed to beg for food and subsist on it, wandering from place to place, except during the rainy season. Thus, Vanaprastha is the intermediary stage between life as a householder or a lay follower and life as a renunciant or an advanced follower of Dharma. In the phase of Sanyasa, as the name implies the renunciant is expected to forgo all ownership and doership and live as a hermit or a recluse, with the sky as his roof and the earth as his home. He cannot own a home, cook food for himself, or maintain any relationship with anyone. He has to live as life happens, being contended with what comes and goes, renouncing all desires. relationships, attachments and possessions. Sanyasa is a life of complete hardship, a self-imposed exile from the comforts of life, a total self-abnegation and willful surrender to fate, without complaint, motive or expectation. The renunciant has to embrace uncertainty as way of life to cultivate trust and faith in God with the belief that whatever is willed for him, or whatever happens to him, is for his good only and is part of his instruction. Such an attitude is possible only when one abstains from choosing and accepts both pleasure and pain as gifts from God. The law books prescribe several rules for the ascetics and renunciants. For example, the ascetics (vanaprasthas) were not allowed to enter villages except for begging. They were to beg late, after people completed their meals, and wear only a rag to cover their bodies. They were also not allowed to change their residence during the rainy season. A hermit (sanyasi) was not allowed to even beg. He had to subsist on roots and tubers or wild growing vegetables. According to the Gautama Sutras he was allowed to eat the flesh of animals, which were killed by carnivorous beasts. However, he was not allowed to visit any village or step on a ploughed field, nor eat anything that was stored for more than a year. The Baudhayana Sutra recognizes two types of hermits (renunciants) who lived in the past, those who cooked food and those who did not. Both were further subdivided into five subgroups according to the types of food they were allowed to eat. Hindus of today rarely follow the fourfold Varnashrama Dharma. People may retire from their jobs, but they do not retire from their active householder duties. Some may join teacher traditions (guru institutions) and live in Ashrams as lifelong members or temporary residents, doing voluntary work for their gurus or helping the ashrams in upkeep. Some go on long pilgrimages or visit temples. Some go to the Himalayas or mountainous regions and practice meditation in obscure places or caves under the guidance of a master. However, most people remain attached to their homes, families, children and relations until the end. Perhaps, many may not even know what Varnashrama Dharma truly means. For them retirement means withdrawal from active social and professional life, but not from family life. In today's world government regulations in many countries do not permit people to live in the forests, under the trees or subsist on forest produce. It was not the case in ancient times. Brahmanas and Kshatriyas practised the fourfold Varnashrama Dharma in the Vedic times. The Upanishads mention the names of people like King Janaka and Yajnavalkya who renounced worldly life and retired to forests for liberation. In the past, when a person entered Sanyasa, he had to undertake an oath by performing one last fire sacrifice to give up all attachments and social identities such as his name or family name and not to maintain any active relationship with his family or friends. It was meant to make a break with his past and begin anew his life as a self-reliant, free soul, on his way to ultimate freedom from the mortal life and rebirth. He was expected to withdraw the sacrificial fire into himself by ritually extinguishing with it so that he would himself become an embodiment of fire and the source of the radiant, spiritual energy (tapas), which would burn the impurities of the mind and body and the latent impressions (Samskaras) of his past lives. He was also forbidden from the use of fire for cooking, heating or ritual purposes. Instead, he had to secure his daily food either by begging or by eating only what the trees shed on their own. He was also expected to reduce his daily intake of food progressively so that his body would lighten up and eventually fall off. The fourfold Varnashrama Dharma, however, is not compulsory for everyone. It is also not necessary that everyone has to enter Sanyasa in the last phase of their lives after completing the prior three stages. It is the ideal for those who choose to become householders and practise their duties for the order and regularity of the world and the continuation of their families. A person can take up sanyasa at any age or time in his life. There are no restrictions as such if someone wants to become a renunciant at an early age. In such matters one has to be guided strictly according to one’s inner aspirations. The Buddha and Mahavira became renunciants when they were young. So did Nachiketa. The decision to become a renunciant may arise in a person after an intense spiritual experience, as in case of Ramana Maharshi, or it may happen according to the wishes of an enlightened spiritual master, as in case of Lahari Mahasaya and Yogananda. Sanyasa has an outer aspect and an internal aspect. The outer aspect consists of the rules and regulations or the code of conduct which the renunciants have to follow as part of their spiritual discipline (sadhana). The internal aspect consists of the attitude and mental discipline one has to practise to stabilize the mind and suppress its modifications. The emergence of spiritual practices was a marked development in the history of Vedic religion. Just as the ritual became internalized in the later Vedic period, the practice of sanyasa also underwent profound changes in course of time. The emphasis gradually shifted from the external observances, although they were still important, to internal practices, such as concentration, meditation, mindfulness practices, devotional worship, and self-absorption. They were to be practiced along with detachment, dispassion, renunciation of desires, truthfulness, nonviolence, non-stealing, non-possession, humility, surrender, etc. Thus in Sanyasa the attitude of renunciation and detachment became far more important than the mere observance of external practices such as wearing marks on the body, putting on orange robes, growing a beard, begging for food or giving discourses. Such observances are still important in many teacher traditions, but the emphasis is more on inner purity, righteous conduct, detachment, inward focus, adherence to the given instructions and allegiance to the teacher and the path or the teacher tradition. The Bhagavadgita goes a step further and declares that true renunciation (sanyasa) is giving up desires and desire for the fruit of actions rather than giving up actions themselves. In other words, a Sanyasa does not have to live in the forests or in a monastery to achieve liberation. He can live in the world and yet practise sanyasa by living selflessly. He can perform his duties without desires and offer them to God as a sacrifice. By that Karmayoga, he is equally qualified, if not more, for liberation and the life of renunciation. Thus, presently in Hinduism sanyasa means giving up all desires, and thereby freeing the mind from all attachments and expectations. A Sanyasi becomes mentally free from everything that holds him in control, before becoming free from the mortal life itself. Physical and mental freedom precedes spiritual freedom through the act of renunciation. We may define a Sanyasi as the one who lives without intentions and expectations and who makes no deliberate effort to be or to have anything. He puts himself under the control of God, fate or the world rather than under his own control. He becomes like the wind or the water, flowing in whatever direction life pushes him. Etymologically, Sanyasa (sa+anya+asa) means having no desire or aspiration (asa) other (anya) than liberation or union with God (sa). It also means living with (sa) no (na) intentional striving or effort (ayasa). Sanyasa is effortless and aimless living, or living without purpose, with God as the inner Lord, controller and guide. It is the negation of life to break the habits of the mind and body and set oneself free from the delusion and ignorance caused by the field of Maya. The word sanyasa may also have been derived from the word, Nyasa, which has several meanings. One of them is, giving up, abandoning, relinquishing, resigning, etc. Another refers to the practice of assigning various parts of the body to different deities or to different parts of the same deity. It is usually done in ritual worship along with prayers and chants. In Sanyasa that offering (nyasa) is made to God along with the Self (sa or saha). Thus, sanyasa means giving up or offering of one's body and soul to God or to the Self. According to the renunciant traditions of India, a renunciant or an ascetic person who has given up worldly life has to live unconditionally, without desires, without effort, without striving, without preference and without expectations. He has to live and work in a state of total freedom, without any particular identity, status or self-importance, unencumbered by the burdens of the past or the anxieties of the future. Whether he is alone or in the company of others, he should remain free from all attachments, compulsions and entanglements, like a lotus leaf, without taking sides, making judgments or being influenced by any particular faith or belief. According to the definition, a sanyasi has to remain unattached to himself and to everything here and hereafter, be it an idea, thought, opinion, belief, doctrine, religion, a god or a goddess. He cannot depend upon anyone or anything, has to give up all the urge to control or regulate his life or that of others, and live as if he does not exist and does not matter. In other words, he has to become empty like space and insignificant like a fallen, autumn leaf on the edge of life as if he is already dead and his presence or absence would not cause any observable or noticeable difference to the world. When a person reaches the culmination in the practice of renunciation, he develops a stable mind and sharp intelligence (sthitha prajna), which give him the supernatural ability to read other people’s minds or anticipate events, even though they do not interest him or trouble him. The presence or absence of anything would not cause in him mental ripples. As he aimlessly wanders in the world, he may come across numerous attractions and distractions, but he will not desire anything, nor avoid anything. Outwardly he may appear to be engaged with the world and people, but inwardly he remains detached, disinterested and selfless, judging none and favoring none in particular. He leads an active life, but remain untouched and untainted by it. The purpose of sanyasa is to withdraw from the world and look inward so that he may catch a glimpse of the eternal state. For that he has to give up his individuality and identity. A sanyasi may go by a name, but he will not let that name strengthen his ego or bind him to the world. He knows that the name and form are temporary while his Self is eternal, transcendental, pure and indestructible. Hence, he does not engage in self-promotion. He may acknowledge his individuality, but he will not feel compelled to protect it promote it or preserve it. He may take care of his mind and body, but does it in deference to God or the Self that resides in him. He lives in the present, with his mind immersed in the thoughts of God. If at all he looks into future, it is not to plan for his future or to know about it but to see what may be in store for the world or for others so that if necessary he may help them or caution them. As the Bhagavadgita says, the renunciant who has given up worldly life performs his actions without ownership or doership. While engaged in actions, he thinks that he is doing nothing all. Thus, from the perspective of karma it is as if he is not engaged in any action even though he performs actions. Whether it is walking, talking, seeing, hearing, touching, smelling, tasting or breathing, he remains an observer, knowing that his senses are dealing with the sense objects and his body is engaged in actions. True renunciation is therefore an attitude of indifference, equanimity or sameness. It is a way of life, in which the renunciant sets aside his desires and expectations to let go off all intentional effort and compulsive planning. He lets things happen, identifying himself with his essential nature and true Self. Through austerities, restraints and observances he practises self-transformation to become aware of his inseparable connection with God and his all-pervading nature, whereby he loses all forms of fear and lives freely, according to the divine will, without striving and expectations, willfully surrendering to God and letting him take responsibility and ownership of his actions and his life. Through renunciation, he truly becomes free from the desire to direct his life or the habitual compulsion to exercise his will for his survival or success. Thereby, eventually he experiences the state of being rather than doing. He becomes liberated in human body (jivanmukta) and a true embodiment of divine soul in human form (mahatma).